The full topic/title of this hymn is "Onesimus & Philemon; Honor in Humble Service." These "heroes of the faith" were a runaway slave and his master, both of whom (while separated) came to Christ through the apostle Paul, who then reunited them. 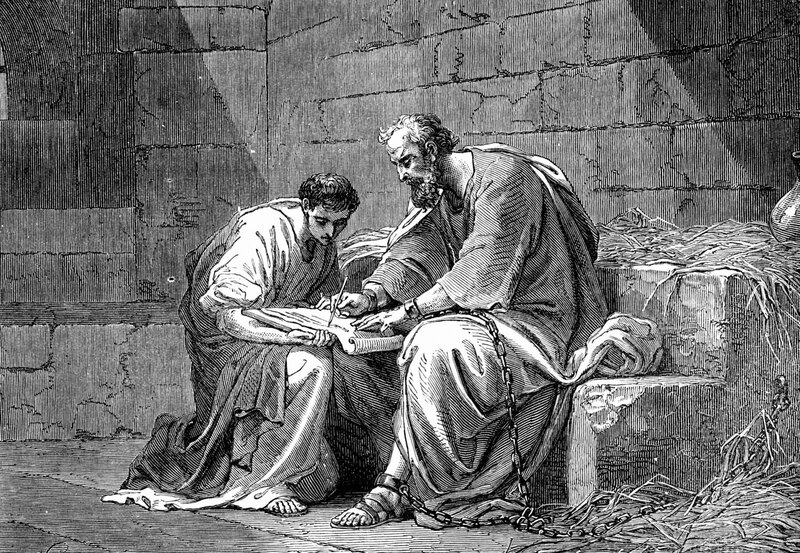 The whole story is sketched out in Philemon, the briefest of Paul's New Testament epistles. As a last resort I could pair the hymn with a tune I have used before, CHRISTE, WAHRES SEELENLICHT; but I am hoping I can stir up one of my hymn-writing friends to contribute an original tune, and one better structured to make sense of the rhyme scheme. Bade Paul plant the gospel seed. Was for useful service freed. Aught between them pardoned, done. Who the deeds of service do! When I begin a phone call to my mother with the words, "I have a Robbie story for you," I can be sure the conversation will end with her wiping tears of laughter off her cheeks and saying something like, "I really needed that." For those tuning in late, "Robbie stories" are what my mother and I call the tales of my own stupidity and bad luck, which either happen only to me or are just remembered that way because I make a point of telling them well. When she introduced me to her current fiance, the first thing she wanted me to do was tell him some of my Robbie stories, the way that always makes her laugh. I have had three Robbie stories for her since I moved into my present rented house in Versailles, Mo. By way of remembering them for future chin-wags, here they are. So I was lying in bed one night, torn between wanting to sleep and fear of continuing to have the same dream that had been plaguing me for hours. It wasn't a frightening dream; it was, in fact, a very boring dream. A very, very, very boring dream. It was a dream about being at work, struggling through a task so tedious that it should have put me to sleep, but instead it kept waking me up out of sheer horror that anything could be so dull. Every time I started to drift off, the same dream came back. I finally decided I would rather lose a night's sleep than put up with that dream any longer, so I got out of bed and went - where else? - to the kitchen. Perusing the contents of the fridge, I realized it contained an unopened jar of sauerkraut which, with some ketchup and salad dressing and a couple slices of bread, could make a meatless, cheeseless Reuben. At 3 a.m. in a night turned topsy-turvy by stupid dreams, that somehow seemed a good idea. While I was making it, I thought, I'll brew a cup of chamomile tea to help me sleep afterward. I took out two slices of bread. I smeared ketchup on one slice and salad dressing on the other. 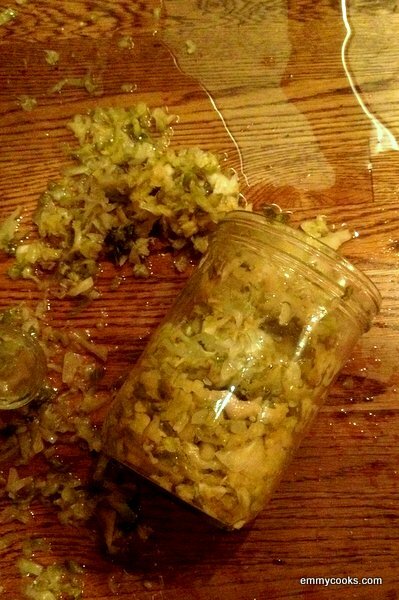 Then I started trying to open the sealed jar of sauerkraut. I strained at it. I changed my grip. I sweated. I grunted. I gnashed my teeth. I banged it on the counter. By no amount of effort in my power could I break that seal. And then, suddenly, it popped; I was so surprised, I lost my grip on the jar and it went flying. My one stroke of good luck is that the jar did not shatter when it landed on its side across the slices of ketchup- and salad dressing-smeared bread. It did, however, eject a third of its contents all over the counter and into the sink. Sauerkraut and sauerkraut juice everywhere. I had to pick up everything on the counter and mop under it with paper towels. I had to wash ketchup and salad dressing off the outside of the jar. I had to pick up globs of sauerkraut and throw them away. I also had to throw away a cereal box that had been standing on the counter, and that was now saturated with sauerkraut juice; the cereal, safe inside a waxed paper bag with a chip-clip holding it shut, survived. Of course, the sauerkraut juice soaked into the bread, and I had to throw that away too, uneaten. But luckily, my cup of chamomile tea was still brewing, and it looked all right. I carried it to the wastebasket to dispose of the teabag - whereupon I fumbled the teacup, spilling two-thirds of the beverage over the outside of the wastebasket and on the floor. Now I had to get down on hands and knees, with wads of paper towel, and mop up yellow, sweet-grass scented tea. When my work was done, all I had to show for it was a third of a cup of chamomile tea, room temperature, and a blocked kitchen sink. I definitely should have stayed in bed. Part of my excitement about moving out of my parents' guest room and into my own house was based on the realization that, after 15 months on a mattress and box spring that lost their ability to support a grown person's weight years ago, I could finally sleep on my own bed again. But then I couldn't find the casters that went with my metal bed frame. I knew where they should have been - at the bottom of one of two RubberMaid barrels I used to store lawn and garden supplies, such as hosepipe and hedge trimmers - but they didn't seem to be there. I looked and looked, but did not find. So in desperation, I went to a hardware store and spent more money than I wished on two pairs of cheap little casters. When I inserted them in the holes in the bed frame's legs, they immediately tried to slide out again, but with only a little difficulty I managed to get them all on. Over the next couple of weeks, I found sleeping in my own bed less comfortable than I had expected. Partly this was because I seemed to be lying on a slope. One side of my bed stood distinctly higher than the other. I wanted to roll off it toward the right, and had to hang on for dear life toward the left. I partly put this down to the unevenness of my house's floors, which in places was so pronounced that I reckoned it only a matter of time until I stumbled, for example, head foremost into the toilet, or collided with the grandfather clock in the hallway. But I also suspected the new casters weren't seated quite right. One day I got down on my knees and looked at the casters. And behold, the one at the lower right corner of the bed (as I lay on it face-up) had actually buckled under the weight. I pulled all four casters off and threw them in the garbage, then dug in that RubberMaid barrel one more time and, amazingly, fished out the original, heavier-duty casters. I'm glad they're on, though the bed still feels tilted. 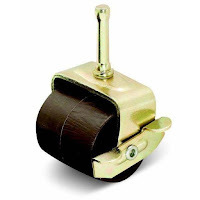 A drawback of both sets of casters, however, is that the bed likes to roll around on the bedroom's hardwood floor. I get on the bed at night and it moves. I get out of the bed and it moves. I make the bed in the morning and it moves. This can be a good thing, as I need to move around the bed to tuck sheets in and so on. But it can also be a bad thing, as I learned one night when I had propped myself up in a sitting position, using every pillow I own, because of headache and acid reflux. Sometime in the middle of that night, my weight leaning against all those pillows, leaning in turn against the wall at the head of the bed, caused the bed under me to move away from the wall. Most of the pile of pillows then dropped into the gap between the bed and the wall. And that is where the excellent builders of my house located the power outlet where I plug in my bedside lamp and alarm clock. I haven't mentioned it before, but all the power outlets in my house lack the ability to grip prongs of an electrical plug. I've had to experiment with bending the prongs, balancing the plugs just so, and sometimes just pushing things against them to keep appliances like lamps and space heaters plugged in. I guess it's the head of my bed that keeps my alarm clock plugged in. The way my bed rolls freely on its casters and the hardwood floor, this has often been a concern to me. But that night it wasn't the bed's movement but the collapsing tower of pillows that pulled my alarm clock's plug out of the wall outlet. So, because of those bloody bed casters - without which my bed frame would be gouging cracks in those nice floorboards - I had to get out of bed in the middle of the night, rearrange all the pillows, make the bed, and re-set the alarm clock. I'm starting to think about shopping for a hammock. 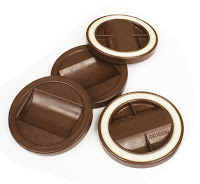 Or at least bed-frame caster cups. Last Saturday I spent the morning at what I later learned was the more grungy of the two laundromats in Versailles, Mo. Nevertheless, I managed to get all my clothes cleaned, dried, and neatly folded or hung on hangers. I put the hanging pants in one basket, folded over, and hanging shirts in another, and loaded them into the car with the baskets of folded clothes. When I reached home, the first thing to happen when I opened the back door of my car is that the basket of hanging pants rolled straight out onto the unpaved driveway, landing open-side down. I immediately picked it up and brought it into the house, where I inspected the damage. Somehow every pair of pants had picked up a coating of dirt, dried grass clippings and fragments of dead leaves, etc. So had the inside and outside surfaces of the basket. I had to brush dirt off both sides of every single pair of pants and brush out the basket. I cannot begin to explain how, in one brief contact, all that dirt got into all those places. The closest thing I can get to an explanation is, "Of course it would, because I'm Robbie. This is the kind of thing that always happens to me." In the eighth novel of the No. 1 Ladies' Detective Agency, that series of charming diversions set in the African country of Botswana by a Zimbabwe-born Scottish writer, Mma Ramotswe lets her husband, a good man and a good auto mechanic, try his hand at detection. She also has a near miss with losing her trusty assistant, for since Mma Makutsi became engaged to the heir of a successful furniture store, she has started to chafe against being a mere assistant. Mr. J.L.B. Matekoni is assigned to help the rudest woman in Botswana find out if her husband is cheating on her. Partly because of her brusque refusal to give him a clear description of her husband's car, he inadvertently follows the wrong man in an embarrassing mistake that, by luck, turns out for the best. Both Mma Makutsi and Charlie, the older of Mr. J.L.B. Matekoni's two silly young apprentices, try their luck with other careers. Mma Makutsi's rash resignation lasts half a day before a humiliating encounter with her secretarial-school nemesis sends her running back to the detective agency. Charlie's attempt to launch the Number One Ladies' Taxi Service comes to an ignominious end before it has even started. Meanwhile, the agency solves a couple mysteries in the low-key, down-to-earth way typical of the series. Mma Makutsi flushes out a thief who is stealing from his employer by offering a piece of advice based on a flawed understanding of human nature. Mma Ramotswe discovers the crime behind the unexplained deaths of three hospital patients and, surprisingly, it isn't murder. Even Mr. J.L.B. Matekoni foils a criminal conspiracy. But as in their other adventures, the most interesting discoveries they make are about their relationships among each other. I am slowly but steadily working my way through this series and one or two others by the same author. I enjoy them for their economy of language, their gentle insight into human character, their sense of humor, and their flashes of lyricism shined upon a culture and a country of largely unsung beauty. This review was based in part on an audiobook read by Lisette Lecat, and in part by a hardcover copy, both borrowed from the local public library. The next book in the series is The Miracle at Speedy Motors. 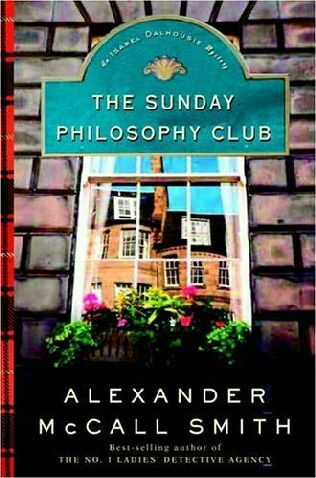 In the sequel to The Sunday Philosophy Club, Isabel Dalhousie of Edinburgh, Scotland reflects, as moral philosophers do, on duty, weakness of will, and even whether memory may be seated somewhere other than the brain. Along the way she is diverted by a mystery in which a heart transplant recipient seems to have received, as well, the donor's dying memory of the face of his killer. For one thing, her niece Cat returns from attending a wedding in Italy, followed by a handsome Italian suitor who is closer to Isabel's age. While she considers trying to seduce Tomasso and enjoying herself a bit, she struggles with concern about Jamie, Cat's ex-boyfriend, for whom she harbors inappropriate feelings while he only wants Cat back. Her advice, when bassoonist Jamie tells her he plans to turn down an offer from the London Symphony Orchestra in order to stay close to Cat, is both hard for her to give and nearly the end of their friendship. In the midst of these personal dilemmas, Isabel agrees to help a man named Ian explore the meaning of the painful flashes of memory that he fears will lead him to reject his new heart. Not for the first time, her sleuthing - what someone with a less finely calibrated sense of ethical duty might even call nosing into other people's business - puts her in possible danger, when she recognizes the man following her on the street as the possible killer of Ian's heart donor. As in her previous case, though, the real solution turns out to have more to do with the pain of a young man's surviving loved ones, with the healing of guilt and grief. In this series, the Scottish author of the Number One Ladies' Detective Agency series displays more of his proprietary blend of humor, scenic and cultural charm, reflection on matters of character, and mystery-suspense that simmers on low heat. McCall Smith hits notes I have heard him play before, including references to en brosse haircuts and akrasia (cf. 44 Scotland Street), but these references have a comforting familiarity, much like how fans of his Botswana-based novels might take comfort in their repeated references to Mma Ramotswe's "traditional build" and Mma Makutsi's "difficult skin," etc. The Edinburgh setting has its own palate of colors that the artist uses in all the books he sets there, until certain phrases simply evoke Edinburgh. When I tire of them, I will stop reading them. For now, though, I just hope the local library system can supply me with the third book in this series: The Right Attitude to Rain. The expanded edition of my "Useful Hymns" book is shaping up quickly. The number of original hymns I have been aiming for all this last year is 200, double the number I initially published at the beginning of 2015, and that isn't counting hymns that I translated and existing hymns (translation included) for which I supplied original tunes. I may also, when all is said and done, work into the book my melodic setting of Luther's Small Catechism and a Divine Service setting that I wrote almost 15 years ago. With my plans for the remainder of this book so clear, I can all but taste the completion of the project. As for the hymns for which I haven't chosen a tune in advance, I'm thinking about asking my friends in one or two hymn-writers' discussion groups to contribute their original tunes. Perhaps they'll agree to an exchange, in lieu of royalties, in which I will let them make free use of my work if they let me use a bit of theirs. I think it would be good to stir into my book a few tunes that aren't either old unsung masterpieces or my own original work; call it creative diversity. Apropos this year's presidential election cycle and all the signs that our civilization is sliding down a steep slope to utter ruin, here is my attempt at a hymn interceding for the condition of society. I am aware the "Gomorrah/flora/fora" rhyme in the first stanza lends it a splash of unintentional humor, especially given the uncommonness in everyday English of the plural form of "forum" and the sketchy effect "flora" has on the poem's tone. All I can say is, not every poem can be equally successful. I felt it imperative to allude to Sodom, Gomorrah and Nineveh in the first stanza, and every other way I could think of to fit them in had at least equally awkward results. Tune: DER HERR IST MEIN GETREUER HIRT, an 18th-century tune originally paired with Wolfgang Mosel's German paraphrase of Psalm 23. Hear now our penitential cry! Our nation’s folk and fora! To Satan’s tune a dancer. Let mercy be Your answer! Nor fall upon our dwelling! From faithful hearts still swelling! When You shall wield it plainly! What medicine can cure it? How long could we endure it? Must vex your Holy Spirit! And on Your precepts fasten! When You afflict and chasten! While to our aid You hasten! Among the final stages in the development of my little book of hymns, I am devoting a section to hymns on "heroes of the faith." 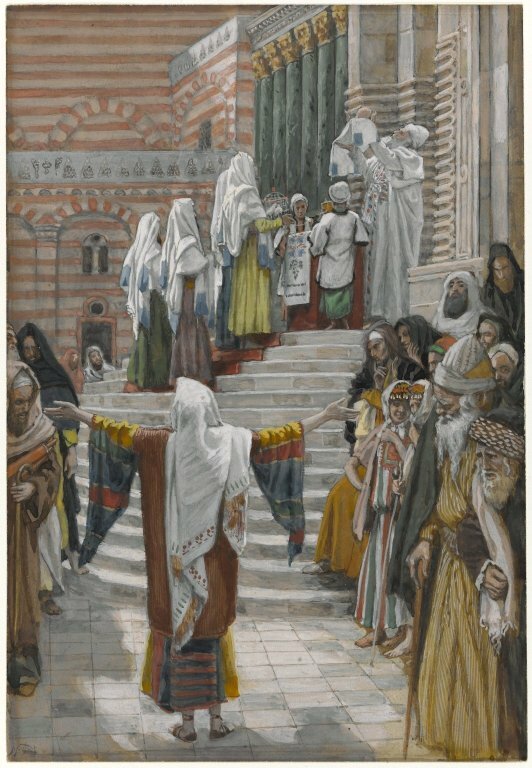 The trick is managing always to point to Christ without crassly allegorizing the Bible stories connected with each saint. In some instances, I plan on focusing on one key event in the saint's life that can be used as a lens to focus on Christ. In this case, however, I kind of recap just about everything the Scriptures tell us about the guy from the time he takes up Elijah's mantle (2 Kings 2) to his death (2 Kings 13). 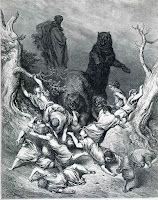 I left out a few things, like the she-bears mauling 42 youths (here illustrated by Gustave Doré), the floating axe-head and Gehazi being cursed with leprosy, not only because they didn't contribute to my theme but simply to keep the hymn from becoming too tediously long. Tune: ICH RUF ZU DIR, from J. Klug’s Geistliche Lieder, Wittenberg, 1535. Mere salt and flour conveyed the cure. At his word, many filling. That we might fear and trust You, Lord. That she might learn believing. He showed a Greater lay ahead. Then saved at his directing. You laid on with Elijah’s cloak. Who fell into his barrow. 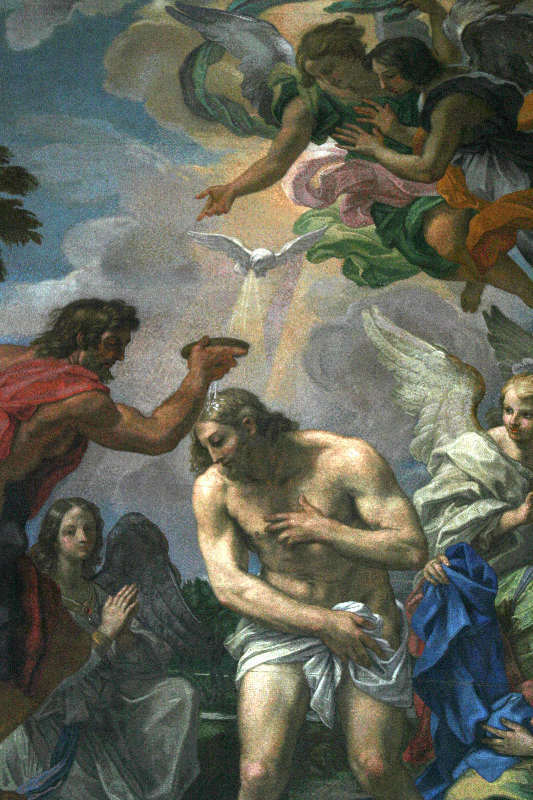 Just what baptismal faith must mean? As You Yourself in action! Treat gently, like his blinded foes! Far more His hosts are round us spread. I had another 24-hour fit of hymn-writing productivity, running from after suppertime Friday evening until just before supper Saturday. Between the evening, the wee hours, and the following morning I cranked out three more hymns, plus a fourth later last night. It's all part of a hymn-book project that is rapidly reaching its final form. Evidently climactic stages of a project like this bring out a lot of creative energy! ...and LAUS REGIS (William E. Fischer, 1887). Did none His favor find? And so our race was spared from death. Eight souls in all, preserved their lives. The ark, without a shore. That wicked world was wholly drowned. By baptism sets us free! This bath puts sin to death again. And with it your rebirth combines! Fruitful in deed and speech! By faith in You, thereby made just! In another unpremeditated rebellion against the hero-worshiping tone of the typical hymn about the saints, I present this hymn. It pooh-poohs all speculative fancies read into the spaces between the lines of Scripture; it wastes no time before setting aside the example of the apostles and looking toward Christ. In defense of this hymn, it was sorely provoked by a book, The Apostles of Jesus by J.D. Jones, that I consulted for ideas on where to start. I started with the chapter on Andrew (since I intended to treat with him first), and was so horrified by Jones' psychological profiling, building grand edifices on flimsy evidence, reliance on pious rumor, and moralistic sermonizing that my hymn ended up being kind of a polemic against it. I glanced at the chapters on Thomas and the lesser apostles and saw no evidence the Andrew chapter was anything but representative. So if it's good for nothing else, let this hymn rinse off the cloying perfume of pious devotional soft-soap. The tune I selected for it is the 15th century German chorale ICH KOMM AUS FREMDEN LANDEN HER. To fix all eyes alone on You! To Jew as well as heathen Greek! Let those who stumble be restored! Lord, bid us taste Your bitter cup! That those we tell of You might live! That we the Father may receive! And yet Your rising would deny. And treat us gently in our doubt! And in us, Savior, make Your home! A lesser James, a Simon too. Keep us from speculation rank! Lord, keep us faithful till the end! Of You, Christ, risen from the dead! This brief ditty was actually harder to write than the previous two hymns put together. I wrote and deleted at least four full stanzas before I struck what I thought was pay-dirt. 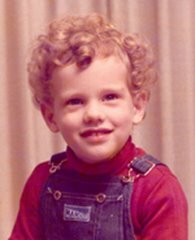 The idea for it was suggested by a "preschool song" I wrote, words and music, for the preschool at my vicarage church in Terre Haute, Ind., in 1999. I did not think the original words were worth keeping, but I reused the tune, titled PRESCHOOL SONG. This day the Lord has made! And on our work His aid! Farewell for now, farewell good friends! Enjoy the blessings Jesus sends! God be with you, Amen! This final hymn, for now, actually came to the surface while I was musing on a 16th-century German tune for which I wrote a harmonized setting sometime around 1998. 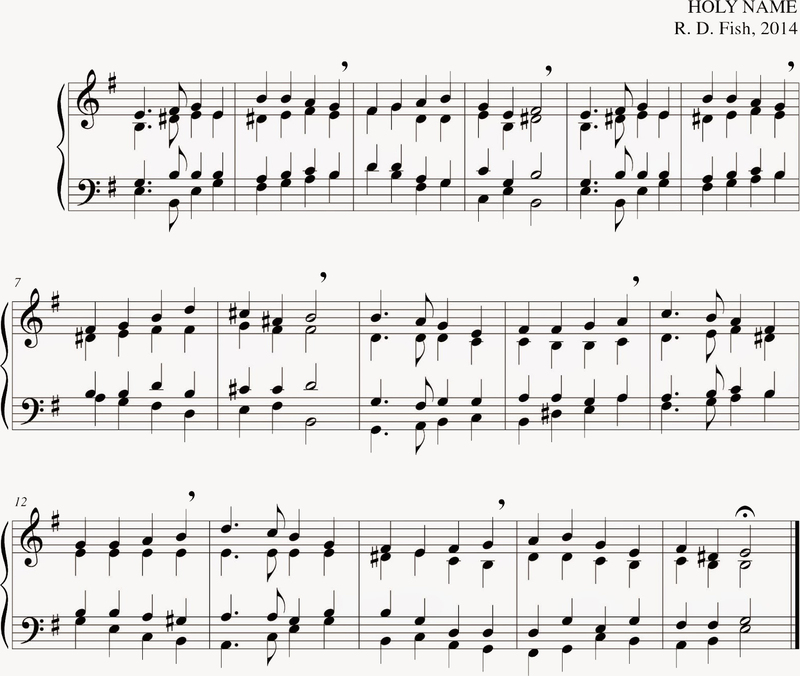 I was trying to think of what kind of hymn would work with a tune like that, and before I knew it, I had written one. The tune is titled ICH HAB MEIN SACH; the full first line of the original German hymn was "Ich hab mein Sach Gott heimgestellt," and it was the subject of one of J.S. Bach's cantatas. The Father, Son, and Holy Ghost. He has my bonds and burden loosed. God freely reckons me as just. For love of men, down to the worst. Who in my place paid such a cost! His triumph will be all my boast. He lives to raise me from the dust. I have been planning both of the hymns below for about a year. 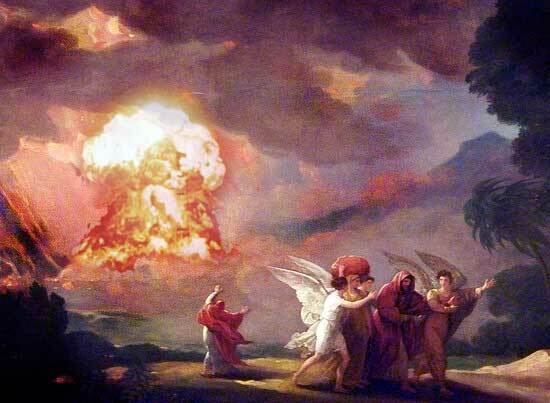 For the one I prepared an extensive outline of biblical appearances by angels. To prepare for the other, I had no less than an entire VBS program that I wrote in A.D. 2000 for an outline. Yet it took me until last evening to gather the nerve to write either of them. I wrote one between supper and bedtime, then got out of bed after a sleepless night and wrote the other between 3 and 5 a.m. After all that preparation all it took, I guess, was having nothing better to do. Full disclosure, I think any distinction between the Biblical designations "the angel of the Lord" and "the angel of God" is ridiculous. As for how many times the word "Angel" should be capitalized, which is to say, interpreted as a name for God, I choose not to commit myself. The tune for this hymn is QUARE DATA EST, which I wrote in 2014 for a "scratched and dented" hymn on Job 3:20-26. Here it is, harmony and all. Keep them far from us, O Lord! Plant in us Your living word! In Your word, nor let it tire! Send a voice that terrifies! Lead us to our prize! As the stewards of Your word! By them good news we have heard. Through such men, dear Lord! That they guard us by Your grace. My outline for this hymn is based on the lessons for a vacation Bible school program I wrote for my former vicarage church, Immanuel Ev. Lutheran in Terre Haute, Ind., during my final year at seminary. The program was titled "Joseph the Dream Teller," and it had five lessons based on the latter chapters of Genesis. For the hymn I swapped the order of Lessons 4 and 5. The tune for this hymn is HOLY NAME, which I wrote in 2014 for a hymn on the Second Commandment (Lutheran numbering). Not to judge as sorrow seems! Bright with holy purpose gleams. Give us faith like his, dear Christ! Words that soothed the butler’s heart. Your good tidings to impart! As he pardoned, so may we! Many lives to save thereby. Number with the saints on high! I wrote these two hymns last night, too late for the purpose I had in mind for them. I had been thinking about writing them since my father, the Rev. Robin Fish, late of Shaped by the Cross Lutheran Church in Laurie, Mo., received a call to Immanuel Lutheran Church in rural Verndale, Minn. By the time I finished working on these texts, he had already accepted the call and moved out of state. Ah, well, maybe they will be "useful" (a big word with me) to someone else. This may be just about my shortest hymn text ever. It only had two objectives: to express the Christian idea of "fare well," and the complimentary idea of "bide well." The tune is NUNC DIMITTIS, from Geneva, 1548. Fare well, in Jesus’ name! Should be our next glad greeting! Hence to that cherished meeting. With this hymn, I took great pains to choose words that could equally be prayed by a calling congregation or one whose pastor has received a call to another congregation. In the first draft there were lots of braces of alternate pronouns, such as (them/us) and (their/our). Eventually I figured out a way to get rid of them without nullifying my stated objective. The tune is an original one titled VOCATION. Not men but You to please! He find his duty sure. For Your flock’s sake endures! In You rest and relief. The Annunciation is the feast celebrated March 25 in the west - significantly, nine months before Christmas; not significantly, during the season of Lent. It celebrates the angel Gabriel's announcement to the Virgin Mary that she was going to give birth to Jesus, as related in Luke 1. The tune for this hymn is O WIE SELIG from J. Georg Stötzel’s Choral-Buch, Stuttgart, 1744, which I will post here in an upcoming edit. Let it be to us as You have spoken! Waits upon Your pleasure in due season. With the world’s salvation, though a maiden. Mary’s Son to us Himself is feeding. Of Your peace that passes comprehension! Through the faith Your living word has granted! This recent addition to the church year falls on either the First Sunday after the Epiphany (which makes my hymn about the boy Jesus among the doctors of religion useless) or exactly one week after Epiphany, Jan. 13, depending on your lectionary. I obviously prefer the latter. The idea behind this hymn is that Christian baptism is rooted in Jesus' baptism by John the Baptist in the Jordan River. I recommend one of two tunes for this hymn: Andreas Hammerschmidt's MEINEN JESUM LASS ICH NICHT (1658) or JESUS IST MEIN AUFENTHALT, a.k.a. MEINHOLD (Lüneberg, 1686), respectively. Cleansing us from guilt and wrath! Therein wash us too, dear Lord! Blow in us, that we may live! Father, Son, and Spirit, come! Come from and return to You! 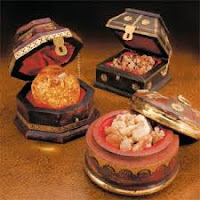 This feast is traditionally celebrated Jan. 25 in the western church. This is the guy who persecuted Christians and then suddenly, after a blinding vision of Christ during a road trip, became its greatest missionary and the author of a bunch of books of the New Testament. I like the story as an opportunity to connect the efficacy of God's Word with Christian missions. 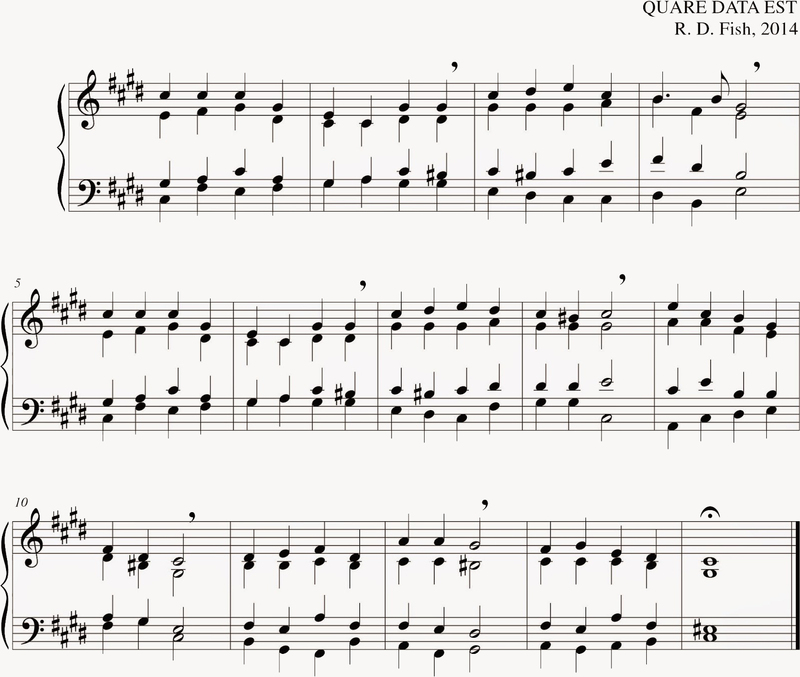 The tune is DAS NEUGEBORNE KINDELEIN by Melchior Vulpius, 1609, though anyone familiar with the tune might notice I altered it slightly by changing the melismas in lines 1, 3, 5 and 6 into a straight syllabic setting. Into Your faithful servant Paul. That from destruction to life they may turn! And loosed the scales from dazzled eyes. Oh, that Your word they might somehow receive! How will they trust You, who never have heard? How will they hear, but one be sent? In Your time, by Your free intent. Carrying those who glad tidings recount! That we may, justified, stand before God! This is that feast, usually celebrated Feb. 2 (significantly, 40 days after Christmas) sometimes described as the Purification of Mary, which ceremonially happened at the same time. As the firstborn, Jesus had to be presented to the priests and a sacrifice given by his family to redeem him. When Mary and Joseph did this, they met this really old dude named Simeon and this really old lady named Anna, etc., etc. 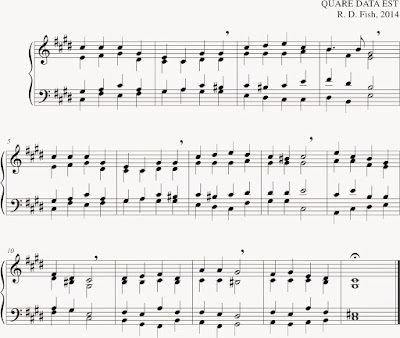 Forgive the hymn for being a little syntactically convoluted; it sort of happened naturally when I put the material together in the shape of J. S. Bach's 1736 tune ICH STEH AN DEINER KRIPPEN. Of Sarah and of Hannah. Though some may loathe and fear it. With ecstasy to hear it. 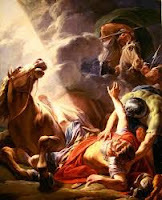 God’s Son, for slaughter fated? One folk of God’s inventing. Epiphany is the Christian feast celebrated Jan. 6 in the west, while that date pretty much serves as Christmas in the east. It celebrates the nativity story of Jesus as related in Matthew 1, with the eastern astrologers arriving with gifts to worship the newborn King of the Jews and inadvertently stirring up all kinds of trouble when they stopped in Jerusalem to ask for directions. I know and love many Epiphany hymns, but I've noticed a mild tendency among them to run with Old Testament texts related to the magi's visit to the baby Jesus to score attaboy points for the church's mission work. Here, on the other hand, is perhaps the least triumphalistic Epiphany hymn ever. 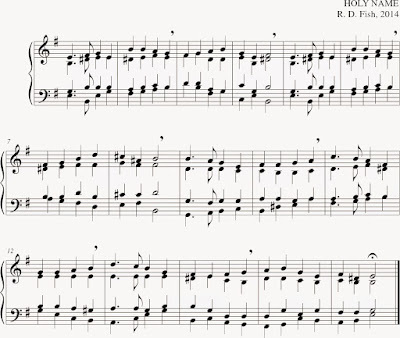 The tune, dating from around 1714, is the exquisitely tender German chorale ICH FREUE MICH IN DIR. Your chosen few, disown You? By Your deep passion solely! Yours is the pow’r to save. Came from our coffers also! Dear Victim for us giv’n! Your presence, if You let us. Meet us as You have met us! We seek Your gracious gift. Our heavy hearts You lift. Forgive us and renew us! 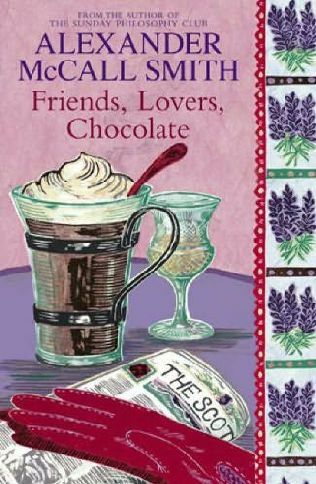 In this first book of a series that is either named after this book or its main character, Isabel Dalhousie of Edinburgh, Scotland, noses into a matter that may or may not be any of her business. It's a matter of moral responsibility for her, and she should know about that kind of thing, being the editor of The Journal of Applied Ethics. Anyway, she was the last person who locked eyes with a beautiful young man as he fell to his death from the upper gallery of a concert hall, and she thinks his death may be more than an accident. As Isabel pokes around among people who may have had motive to give this Icarus type a push, she faces the disapproval of her niece Cat, a cafe owner who always falls for the wrong sort of man, and of Jamie, the one ex-boyfriend of Cat's of whom she entirely approves (maybe too much). She notices the dead kid's flatmates are sleeping together, and one of his coworkers seems to have a killer art collection. She suspects a stockbroker's wife of having a sociopathic streak, and she gets a good scare when someone she consults for background on the victim turns up in her house at night without an invitation - just when he starts looking like a good suspect himself. Isabel has the financial independence and leisure to spend a lot of time prowling Edinburgh for clues, which is good for us; it gives us a chance to explore Edinburgh too. The impression it leaves is that of a small, close-knit, slightly stuffy but very beautiful city, full of history and art and peculiar characters, besides such whimsies as the "Really Terrible Orchestra" (of which the author, according to his dust jacket bio, is a real-life member). 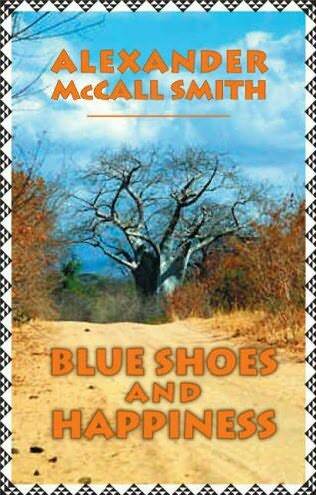 As I broaden my readings in McCall Smith's numerous cycles of books, I feel I am learning to know him better. I've noticed, for instance, that he likes to describe his young male characters as being unusually beautiful, but seldom applies his rich descriptive talent to developing a specific mental image of them. I think he has a great sympathy for women, especially ones like Isabel and (in another series) Precious Ramotswe who have been done wrong by the men in their past. He's an author whose stories often illustrate the deep debt men owe to the women of this world. So I think I would recommend his books both to women, because he understands them, and to men, because he may have something to teach them. But also, by the way, they manage to be fun to read without all the big-budget special effects and pyrotechnics of the common, or garden, mystery thriller. Being a detective in Gaborone, Botswana, isn't all about solving crimes. It isn't even mostly about solving crimes. For Mma Precious Ramotswe, it is often about resolving personal problems, such as (in previous books) a conflict between a brother- and sister-in-law, or helping a guilty man find the girl he wronged long ago so he can make amends. In this installment of Mma Ramotswe's adventures, however, she actually does look into the doings of some lawbreakers, such as a blackmailer, a cook who is stealing food from the university, and a doctor whose tampering with his own patients' records hints at some deeper wrongdoing. But against these small opportunities for Mma Ramotswe to display her cleverness are some prime examples of her wisdom and kindness, as she shows tact toward one assistant whose obsession with shoes could become a distraction from her work, and deals gently with another subordinate whose impetuous actions lead to a minor tragedy. The series also goes through one of its creepier passages in this book, as Mma Ramotswe digs into the mystery of why everyone at a certain game preserve seems frightened of something. 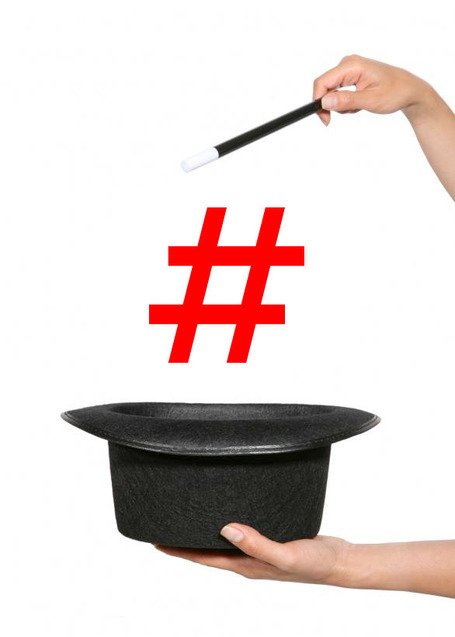 Could it be witchcraft again? While the answer is never what you expect, the process of finding it is reliably full of colorful dialogue, character touches, and descriptive passages evoking scenic beauty, laced with frequent doses of warm-hearted reflection on the foibles of humanity and the underappreciated virtues of Botswana. The seventh novel of The No. 1 Ladies' Detective Agency adds little that is new to the series, but continues to provide the thoughtful, amusing, and sometimes puzzling hours of entertainment fans of the series have come to expect. I found it satisfying enough to stick with the series in spite of the fact that the local library's audiobook of this installment was less satisfactory than the others, for two reasons: first, narrator Adjoa Andoh's vocal performance was less flattering to the characters, though her dialects were on point; second, unlike the CDs narrated by the much-easier-on-the-ears Lisette Lecat, the edition with Andoh was abridged. 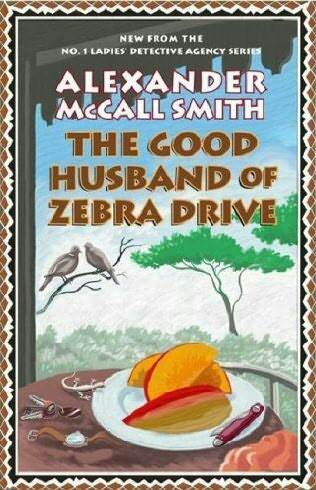 Happily, my local library's copy of Book 8, The Good Husband of Zebra Drive, returns to the superior Lecat version.